You don't have to be a time traveler to have real prehistoric pet creatures. With some water and a little bit of care, you can watch Aquasaurs come to life! The scientific name for Aquasaurs is Triops Longicaudatus. You don't have to be a time traveler to have real prehistoric pet creatures. With some water and a little bit of care, you can watch Aquasaurs come to life! The scientific name for Aquasaurs is Triops Longicaudatus. Ages 6 and up (Adult assistance recommended). ANTQUARIUM SCIENCE KIT Contains antquarium, ants are separate but we can send them. 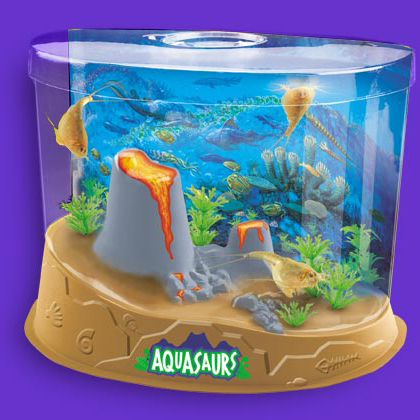 The Super Antquarium provides everything your ants need to start an an colony. Ants actually live off of the life sustaning gel. No food or water required with the Antquarium gel line.